On December 6, 2014, CoinDesk published an article titled, “Can Bitcoin’s Price Ever Be Stable?” In this article, the author covers the issue of Bitcoin price volatility, which, according to “experts,” is apparently one of Bitcoin’s biggest obstacles to mainstream adoption. The author presented two possible courses of action the Bitcoin community could take in an effort to stabilize the Bitcoin price: marketing Bitcoin to advance demand and expand the user-base, or manipulate the Bitcoin supply. The bulk of the CoinDesk article was focused on supply-side solutions, covering suggestions from Vitalik Buterin of Ethereum, Robert Sams–a “crypto currency economics consultant”–and a Tokyo-based economics research organization. The present article seeks to deconstruct the suggestions for Bitcoin supply manipulation and show the inadequacies that such changes to the Bitcoin protocol would produce. To preface the arguments presented below, I would like to make it clear that I am not disparaging CoinDesk nor the author of the aforementioned article. My criticisms are directed only towards the idea of Bitcoin supply manipulation as a price stabilization mechanism–the CoinDesk article is merely my source for the arguments advanced by the people listed above. My view is that no one cares about supply (how many people even know how many US dollars there are in circulation?). People do care about price, so stabilising price is more important, and that requires having the supply be adjustable based on price via some metric. To reiterate, Buterin believes that the Bitcoin supply can be manipulated to stabilize the Bitcoin price because the size of the supply does not influence the way people view and use Bitcoin, or any currency for that matter. They do, however, take the Bitcoin price into account when formulating their opinions on the digital currency, so creating a stable purchasing power for Bitcoin would bring more people into the market. There is a fundamental flaw in the reasoning behind Buterin’s justification for adding a supply-adjusting mechanism to the Bitcoin protocol, though. The price of a good–any good, be it a novel trinket or a global currency–has a direct relationship with the supply of that good because of marginal utility. In other words, the Bitcoin price and its supply are related to each other because people actually do care about the Bitcoin supply. There is no mathematical equation or magical force that determines the Bitcoin price based on its supply. There is nothing that says, “an increase in the money supply by X% will always lead to a Y% decrease in the Bitcoin price.” Rather, the relationship the Bitcoin price has with supply is based on how changes in supply affect demand, which in turn is solely determined by the subjective valuations of individual actors on the market. 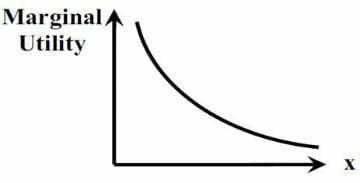 This economic truism derives from the law of marginal utility, which states that the value of a marginal unit of a good is determined by the highest, subjectively valued utility that must be forgone if that marginal unit is lost. To put marginal utility in simple terms, human beings have infinite demands and finite resources with which they can satisfy their demands. It follows, then, that not all of man’s demands can be satisfied, and each person must allocate their scarce resources towards the satisfaction of wants that are most urgent to him/her. Therefore, if John has $10, he will use the first dollar to buy food and drink, the second dollar will go towards shelter, the third for clothes, etc., until the most urgent demand that can be satisfied by the tenth dollar is the desire for the latest video game. If John loses $1, he will only be able to satisfy his ninth most urgent demand, and will forego the purchase of the video game. On the other hand, if John gains $1, he will be able to purchase one more thing that is less valuable to him than the video game. Essentially, the more money that is available in an economy, the less people value it, and they will buy more things, which drives up prices and lowers the purchasing power of money. The opposite is true as well, the less money in an economy, the more valuable it becomes, and you buy less things, which increases the purchasing power of money. Thus, the notion that no one cares about the money supply is simply untenable. Buterin mistakenly ignored the demand side when he made the statement that no one cares about the money supply. The fact that the quantity of money in circulation does have a direct connection to the purchasing power and foreign exchange rate of the currency in question means that the law of marginal utility must be true, and people do indeed factor supply into their valuations, even if it is not always glaringly obvious. If they did not do so, then a change in the supply of Bitcoin–or any other currency–would have no effect on the purchasing power whatsoever, and the method of supply manipulation would be totally useless for stabilization purposes. Since the relationship between Bitcoin supply and price are dependent upon subjective valuations, it is also true that it is impossible to precisely measure the effect any change in supply will have on the Bitcoin price. Valuations cannot be cardinally measured, and they will not change in the same way in every single instance of a supply change. Therefore, an expansion or contraction in the Bitcoin supply would produce a change in valuations that would either fall short of the price target or exceed it. Additionally, the initial positive or negative shift in valuations could produce a chain reaction in which the price crashes far below or soars far above the desirable level determined by mathematical calculations. These chain reactions and their resulting busts and booms would only serve to increase Bitcoin price volatility, rather than stabilize it. Furthermore, the Institute of Economic Research, a Tokyo based economic think tank, admitted that their proposed mechanism of regulating the Bitcoin supply did not contain a way to contract the supply, it could only be expanded. Without a way to decrease the supply, Bitcoin would constantly inflate and would never be truly stable. So how could a program decrease the Bitcoin supply? Since there is no central issuer of Bitcoin, there is never a point in time where units of the currency are not owned by a private individual. Therefore, this supply-regulating mechanism would have to remove bitcoins from individual wallets in order to decrease supply. But does that method not seem eerily similar to the the actions taken by Cyprus, in which the government removed funds from the bank accounts of its citizens without their permission? 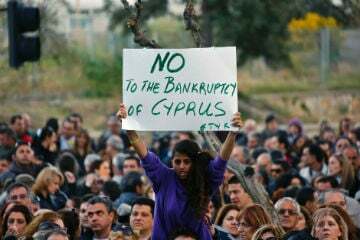 Many citizens of Cyprus turned to Bitcoin to secure their wealth during that time; now, ironically, people within the Bitcoin community are proposing an addition to the protocol that would expand the Bitcoin supply, while only being able to contract the supply by stealing money from Bitcoin users! And since valuations are constantly changing, and the Bitcoin supply would have to constantly shrink and grow to keep pace with valuations, everyone would be in constant threat of having their bitcoins taken from them by the supply-regulation mechanism. Surely, no one can reasonably expect that people will continue–or even start–using Bitcoin when there is a possibility that their bitcoins can be instantly removed from their wallets and destroyed at any time, without warning. The uncertainty involved in such a scheme would far surpass any uncertainty caused by a fluctuating Bitcoin price. The only option for stabilization that is left, then, is the steady increase of the Bitcoin supply. 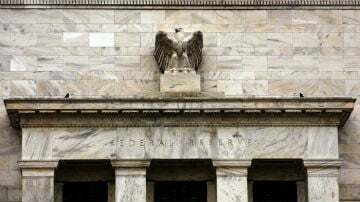 Essentially, this supply-regulating addition to the Bitcoin protocol would have to employ inflation targeting as the only viable means of supply manipulation. But how would Bitcoin be any different from a fiat currency at that point? What would the difference be between a US dollar that depreciated by 2% every year and a Bitcoin that depreciated by 2% every year? Was Bitcoin not created as the antithesis to the inflationary banking system? I believe that it would be very hard to drum up support from the Bitcoin community for a project that would constantly devalue the digital currency. Moreover, a steadily inflating Bitcoin supply, or at least one that modifies the schedule of Bitcoin creation that has been set since it’s inception, would not be stabilization in the way that the “experts” in the CoinDesk article mean it to be. Instead, it would be stabilization in that the Bitcoin price would embark upon a stable decline; rather than maintaining a stable purchasing power, there would be an uncertain depreciation that Bitcoin users would need to attempt to factor into their expectations and valuations for the future. As we can see, the difficulties involved in implementing a system that regulated the Bitcoin supply would be immense, and the benefits would be insignificant, if any existed at all. That being said, it seems far more expedient to make no changes to the Bitcoin supply and allow the market to run its course. Bitcoin is only volatile because its market is so small; price swings can be set in motion by the actions of one individual with a moderate amount of wealth. As Bitcoin’s user base grows organically, the number of people contributing to the fluctuations in price, via buying bitcoins, or selling them, will increase, and one person’s valuations will have much less of an impact than they do now. Bitcoin price volatility will then become more stable, which will encourage more people to invest, thereby increasing the user base and further lowering volatility. This positive feedback loop is all Bitcoin needs to get rid of its wild volatility…no supply manipulation is necessary. There is no sense in rushing the progression of Bitcoin, especially if doing so creates unnecessary problems. If Bitcoin truly is as revolutionary and innovative as we in the Bitcoin community believe it to be, then it will have no problem with expanding its user base, and thereby reducing price volatility. Making the Bitcoin supply flexible, and essentially limitless, will produce all of the economic difficulties outlined above, and will eliminate the original purpose of creating a digital monetary system that solves the inflationary problems of the current banking system.